Hello, hello! This Saturday our big LA sewing meetup is happening-time has just flown since Erin, Kathy, Laurie and I first started throwing ideas around to make this happen! I haven't had a lot of sewing related time since having a baby, so to say I'm pretty excited is a serious understatement! As you know, we'll be meeting for lunch at Cafe Midi at 11:30, having a swap, (don't forget to bring your goodies!) our giveaway, then heading next door to The Fabric Store. Wondering what we're giving away? Well, the following companies were generous enough to donate to our little shindig! Sweet! 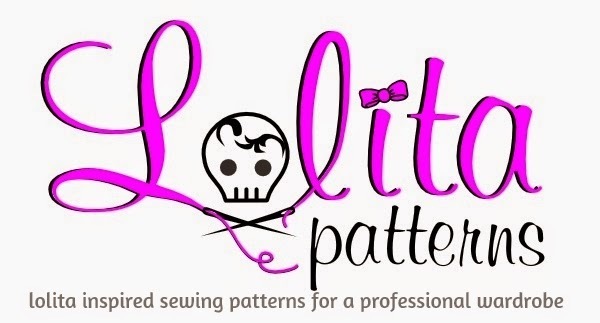 Not only do we have patterns to give away, but The Fabric Store has thrown in a $50 gift certificate for one lucky winner AND 10% off for everyone at the meetup! Awesome! If you're coming Saturday, and you haven't been to The Fabric Store yet, you are in for a pleasant surprise!! Just as a note, the parking around Cafe Midi and The Fabric Store is pretty tight street parking, carpool if you can! Also, considering we have about 40 people in our group (!) I'd also urge you to bring cash for lunch, just to make it a bit easier when paying. Jill you all did a wonderful job. Great meeting you today, sorry we aren't neighbors anymore but I hope to see you at more meet-ups. Thank you, Leah! It was such a pleasure meeting you and I really hope we can get together in the future! You guys did a wonderful job planning and running the meetup. I got to unload my unwanted fabric (it all got taken!) and picked up some cool patterns for free and won one to boot. Thanks for all your work! Hey Amy! So glad you got to destash and pick up some new cool stuff. I was so happy to get rid of old stuff too. 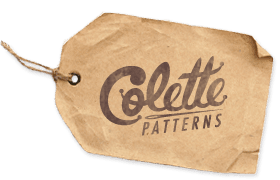 Why did I have so many vintage patterns that were either too big or too small for me?? I can't see myself grading patterns any time soon, so it was nice it all went to new homes. Can't wait to see what you make with your winning pattern as well! It was so nice meeting you, Jill! Thanks for all of your hard work setting up the meetup, I had such a fun time! You as well, Melissa! Give a girl a shout out next time you come down this way to shop! It was great to meet you finally! Thanks for all your work organizing, it was really fun! Yay, Aleah! I feel like we could've chatted for a lot longer than we did that day. Hope you'll be back in LA soon. We must all get together again when that happens! WOW!!! Lucky girls!!! I hope you had a great time together.